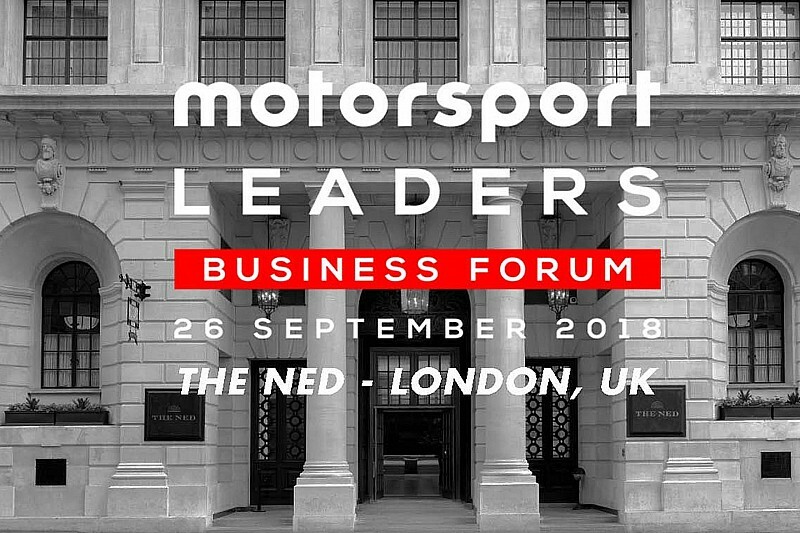 London, UK - September 07, 2018 - Motorsport Network is set to use its unique convening power in the motorsport and automotive world to inaugurate a high level motor racing business intelligence and networking event ‘Motorsport Leaders Business Forum’ later this month. Motorsport Leaders has been established by Motorsport Network to provide motor racing with a context for forums, analysis and research to enrich and inform the industry. Its inaugural event will be underpinned by market research from Nielsen Sports, who are carrying out a survey to complement the expert opinion provided in the panel sessions with hard data and insight. Contributions to the survey – that takes approximately five minutes to complete – are welcomed from fans, license holders and competitors, industry practitioners and everyone with an interest in the future health of motor racing. The invitation-only event, to be held at the Ned in the City of London on September 26th, will bring together leaders from all sectors of the industry including regulators, sponsors, teams and technologists for a day of discussion and networking around the theme of ‘disruption’. Senior industry figures contributing to the session discussions will include among others Formula E CEO, Alejandro Agag, David Richards (Chairman of the RAC MSA & Prodrive), Gerard Neveu, (WEC CEO), Scott Young, (Head of Sky F1), Zak Brown, (CEO McLaren Racing) and Stephane Ratel, (CEO of SRO). The panel subjects include “If driving becomes autonomous, will anyone care about racing?” hosted by the FT’s Motor Industry correspondent, Peter Campbell followed by “Is sponsorship still a smart investment?” with panelists including Arjan Sissing, Head of Corporate Brand Marketing at DHL. The third session will marry panelists from motorsport teams and series promoters with Esport entrepreneurs to debate “Esports - the new gateway to motorsport, or just a game?” while Joe Brown, the Editor in Chief of Popular Science will moderate a media discussion themed ”Content is king, but how do we watch it?” - a session that will consider consumer appetite to pay to spectate or consume telecast or streamed motorsport coverage and how sponsors can impact these decisions. James Allen, President of Motorsport Network, which is hosting the event, said, “Our sport faces a range of disruptive forces that will all play a huge role in its future and this is driven in large part by consumer attitudes. "Nielsen will present new authoritative consumer research based on thousands of respondents from the Motorsport Network's global audience to give a snapshot of attitudes to these major issues that are shaping the future of our sport. Motorsport Leaders Business Forum will be hosted at The Ned at 27 Poultry in the City of London, UK. To participate in the survey, please click here.